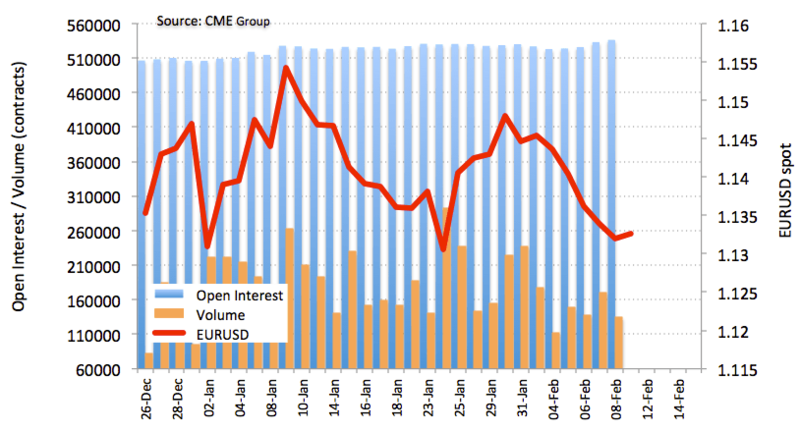 According to CME Group’s preliminary data for EUR futures markets, investors added more than 3.1K contracts on Friday from Thursday’s final 533,033 contracts, recording the fourth consecutive build. Volume, instead, extended its erratic performance and dropped by around 36.2K contracts. The selling bias around EUR/USD looks poised to continue amidst the persistent build in open interest. However, unclear activity in volume could be reinforcing the case for some consolidation in the near term.